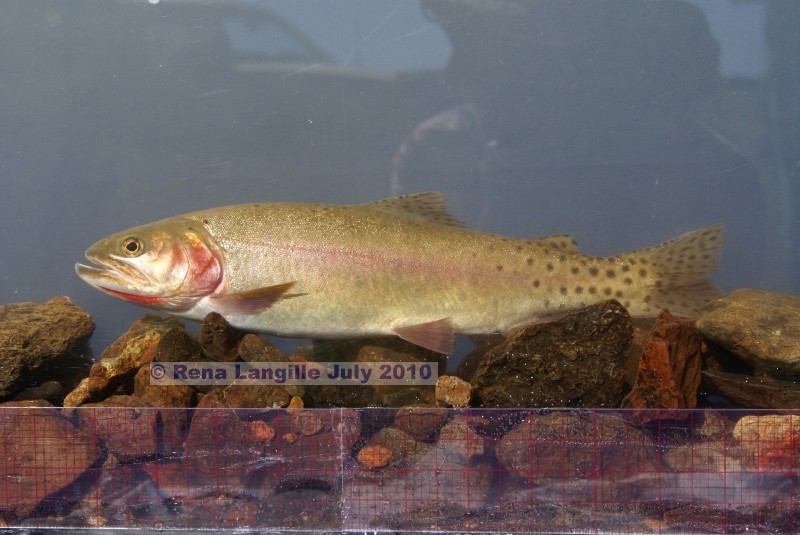 Even with some hopeful success regarding the plight and the effort to rescue a remnant of phenotypical Alvord cutthroat trout in SE Oregon (such as hopeful survival of up-to eighty phenotypes at SE Oregon’s Fort Klamath Hatchery) — yet the subject regarding how to finally perpetually save a remnant of trout bearing Alvord CT characteristics is one of increasing complexity and difficulty. 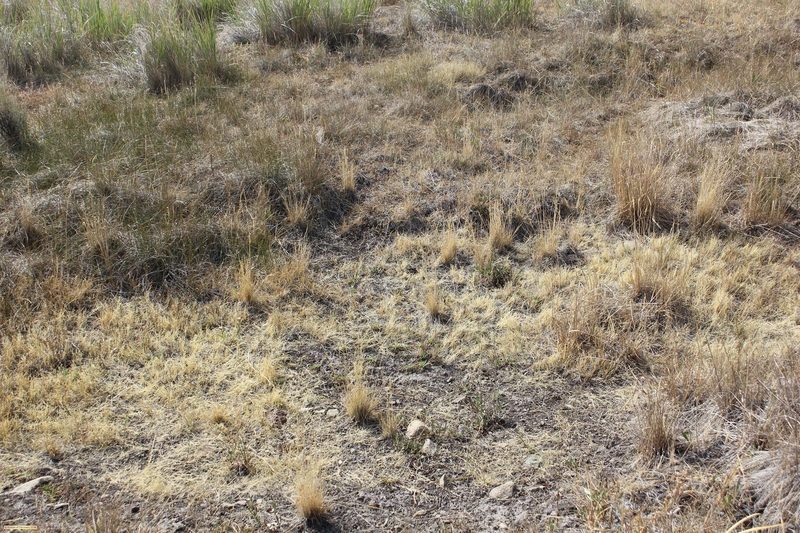 The difficulty stems from the extreme drought over the past few years, and the bitter cold that effectively froze sections of the stream this past winter, and the burns that no-doubt ran ash into this fragile low-oxygen system. Survivors are at an all-time low (since the 2006 ODFW survey), and the stream is in a hyper-critical state. 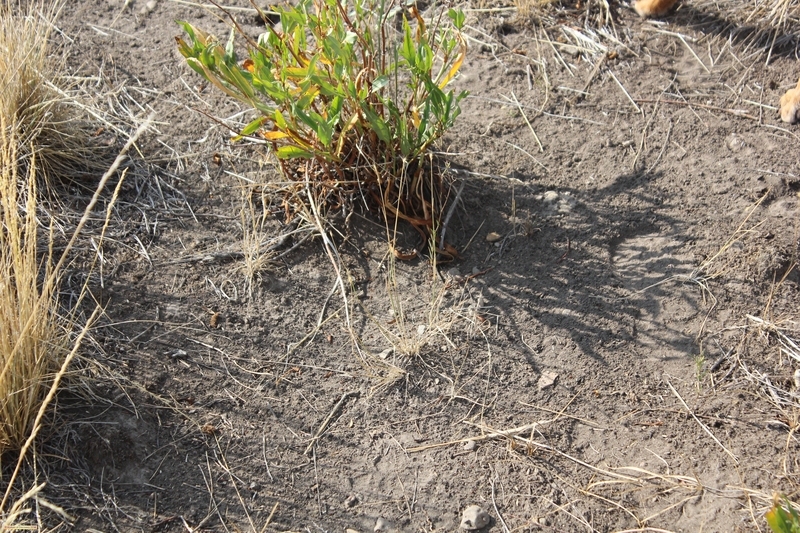 Locals of SE Oregon have testified to us that: “springs have been drying-up all over the place” in recent years. 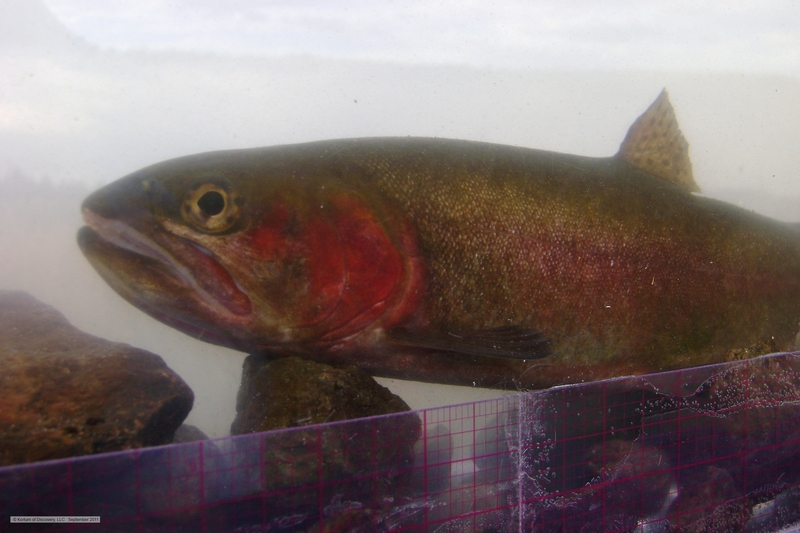 Not good news when seeking a refugium for an otherwise extinct remnant of phenotypical Alvord cutthroat trout . 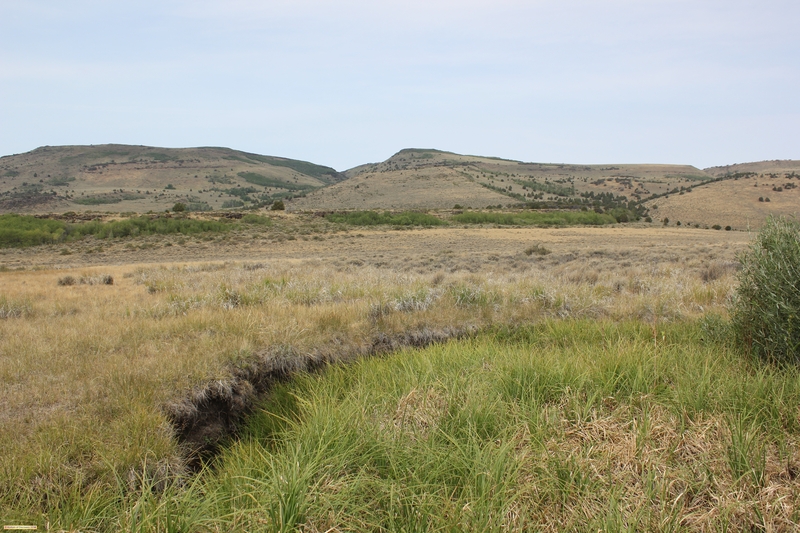 . .
During the 2006 ODFW survey of ***** Creek (when Dr. Behnke was involved) it was believed that the abundant springs in the system would “maintain flow,” and with former livestock impacts eliminated a bright future was anticipated. 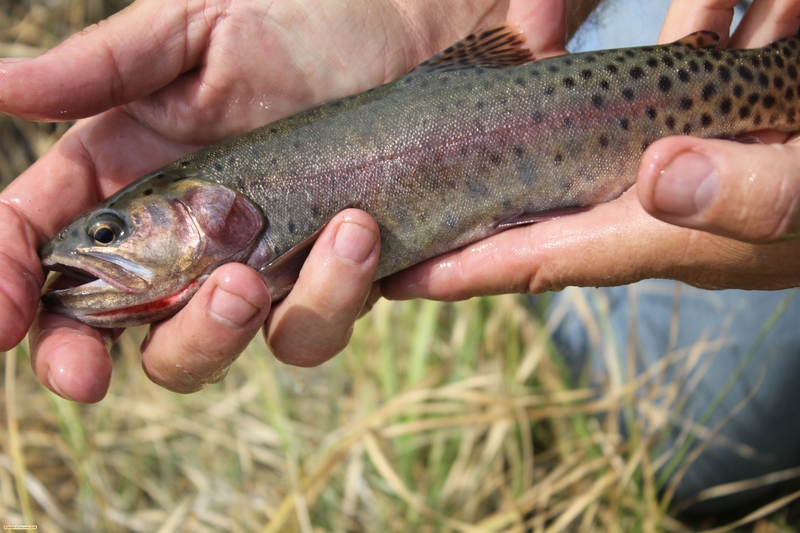 Yet it seems inevitable — as is often the case — that the trout will surprise the sceptics with a seemingly uncanny ability to hide-away in an unlikely hide-out or, simply survive, through what would seem to be impossible circumstances. 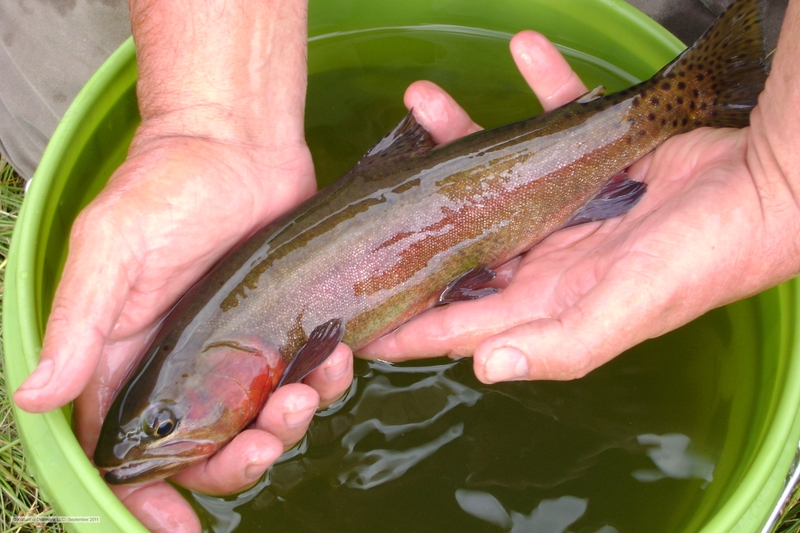 This year — in conjunction with the past few years — has been an opportunity for a complete reset of thought processes and expectations as to what streams can truly support trout in SE Oregon; as to what streams can provide refugium for any tiny remnant of phenotypical Alvord cutthroat trout still clinging to life. 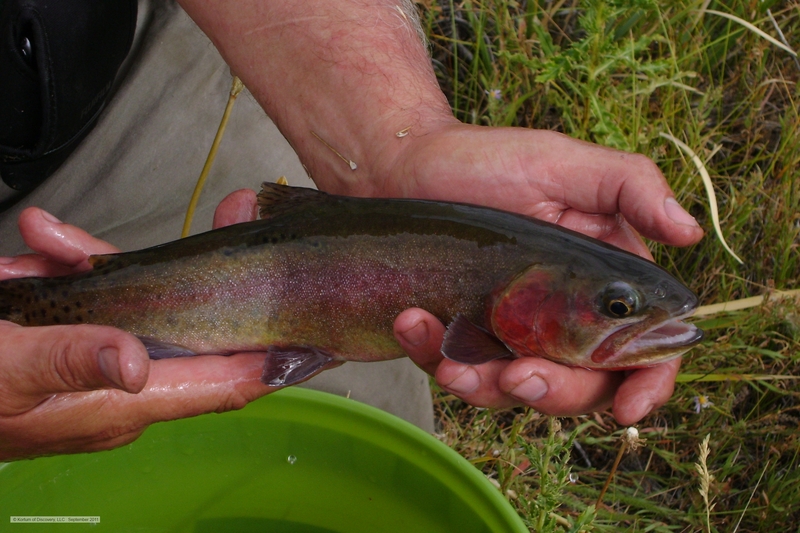 And whether it is the result of drought cycles — such as this cycle we are still experiencing: Or whether it is due to severe snowmelt and flooding from wet cycles (which literally wash the fish down into the desert flat, where evaporation then leaves the poor trout helpless): There is a reason that these candidate streams have been fishless – uninhabited – vacant. 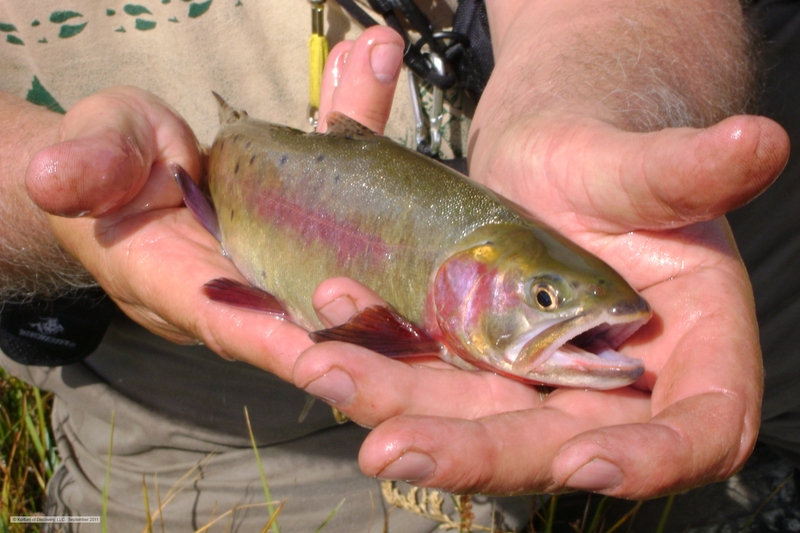 The main point to be made is that whatever streams are utilized; riparian zone work and well-constructed water-retention and flood course prevention dams or small reservoirs would be appropriate (or essential ) in order for the stream(s) to provide true refugium for any remnant of phenotypical Alvord cutthroat trout. This ultimately involves examination, planning, expense and labor to accomplish. 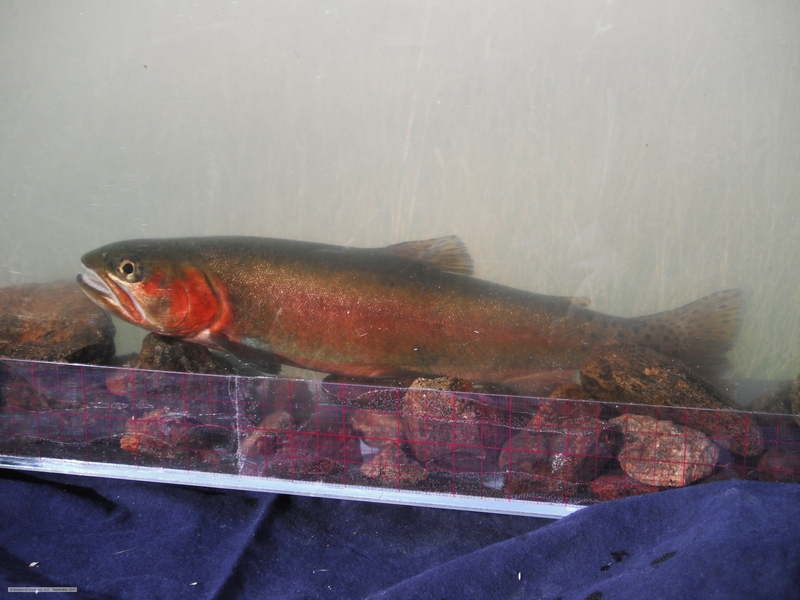 It would not be at all unprecedented to keep the best phenotypical trout currently at Klamath Hatchery — as brood-stock to continue to develop and grow a ‘contemporary version’ of the Alvord cutthroat trout — thus helping to ensure their survival and the perpetuation of these unique trout. 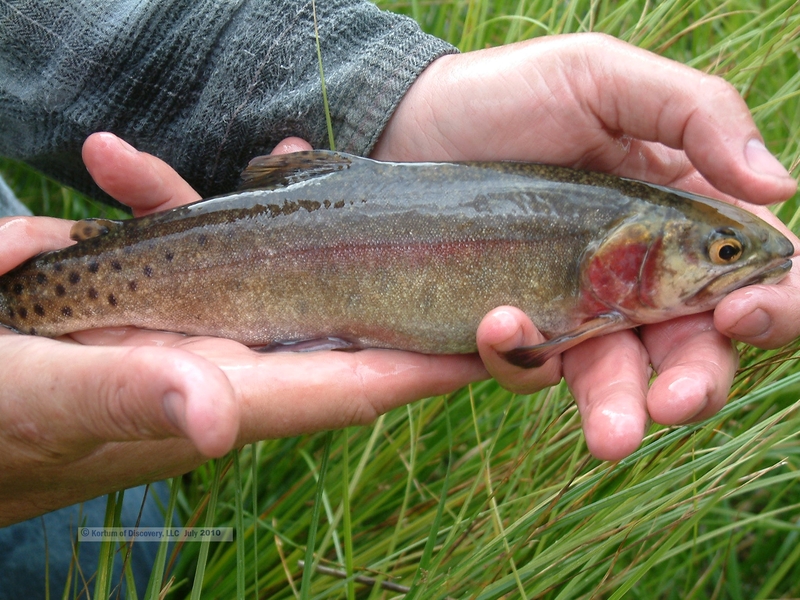 And perhaps, as others have suggested in the past (in light of the dismal survival rate of trout in the ***** system over the past year); now would be the time to modify the stream inhabitants to make it into a dedicated “Alvord” stream (culling non-Alvord phenotypes, as has been sensibly suggested in the past by knowledgeable scientists). I didn’t embrace the thought of culling the non-Alvord phenotypes in the past. 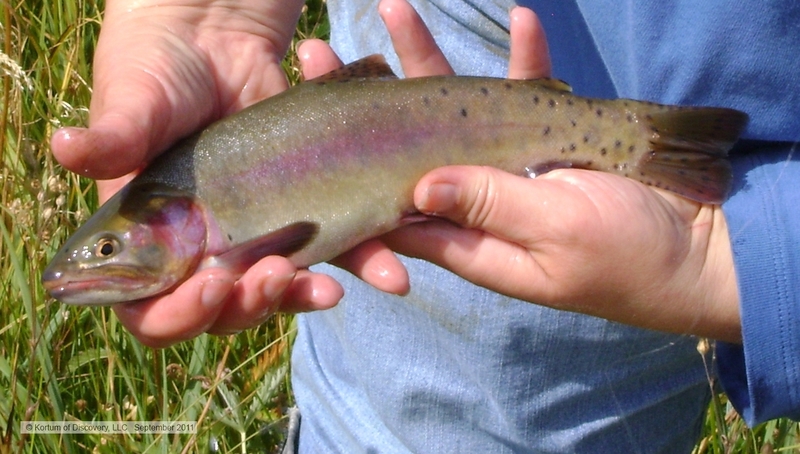 It seemed it would’ve been too difficult to successfully remove all of the stray trout from the system. Yet with the advent of the dramatically reduced population in the stream — it suddenly seems that it would be an easier objective to now achieve. 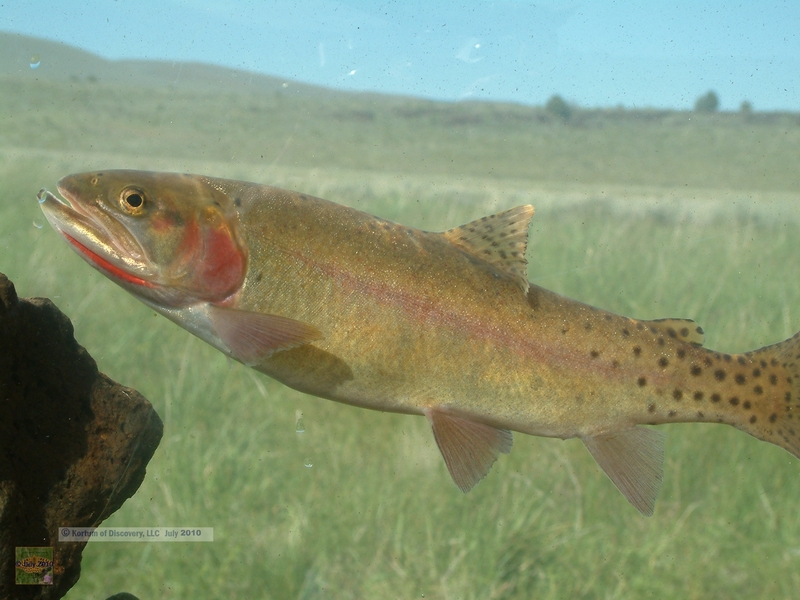 And, thinking about the fishless streams in the Alvord basin that have been considered options for transplanting the Alvord phenotypes into — it would seem that ***** Creek might actually be the best prospect as a genuine and safe refugium for Alvord phenotypes. 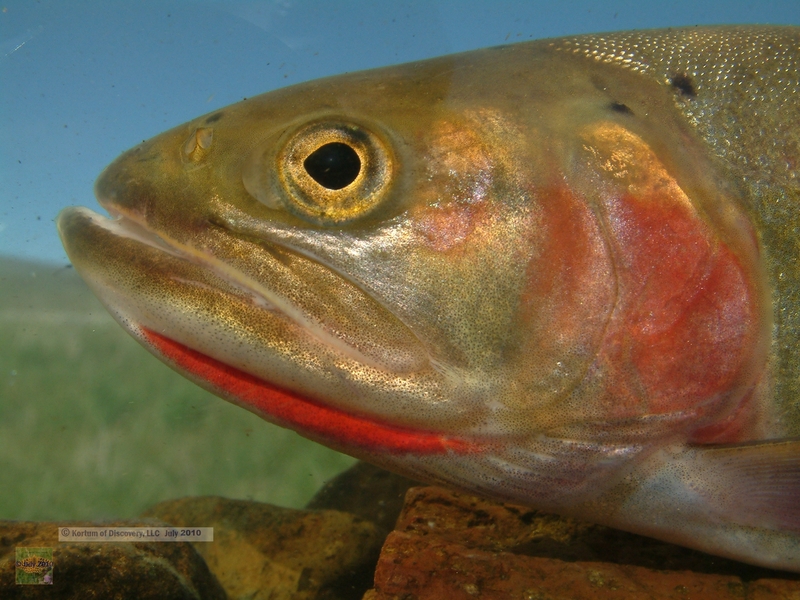 It still would be sagacious to construct water retention refuges for the Alvord phenotypes; but optimal retention in this area would not need to be more than a series of beaver dams that would still allow passage for the trout (especially during the spring spawning season). 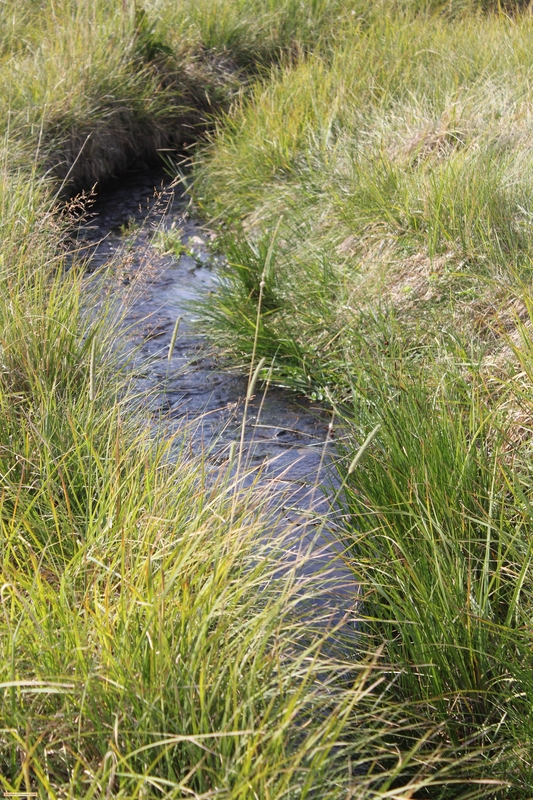 Part of the reason that the “home” creek for this remnant of phenotypical alvordensis is still considered as a viable option (in spite of all the recent loss) — is primarily due to the fact that the upper meadow still has some relatively cool water flowing from its sources. And, during the dead of winter (when all the lower reaches were completely frozen), there was still a stretch of stream in this upper meadow region that was not frozen. That alone would not make the case for this stream being utilized. 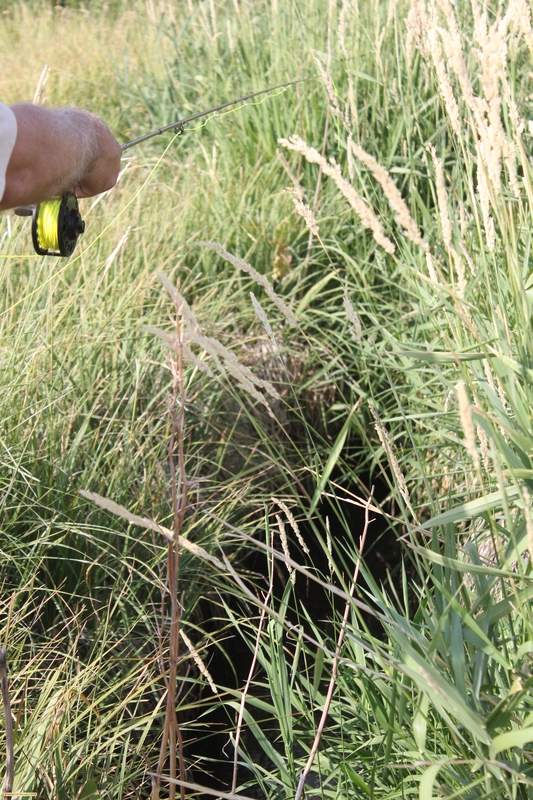 No-doubt, there are still numerous adjustments (such as previously mentioned beaver, or man-made, water control and retention activity) which most likely could, and would, notably improve this habitat . . . 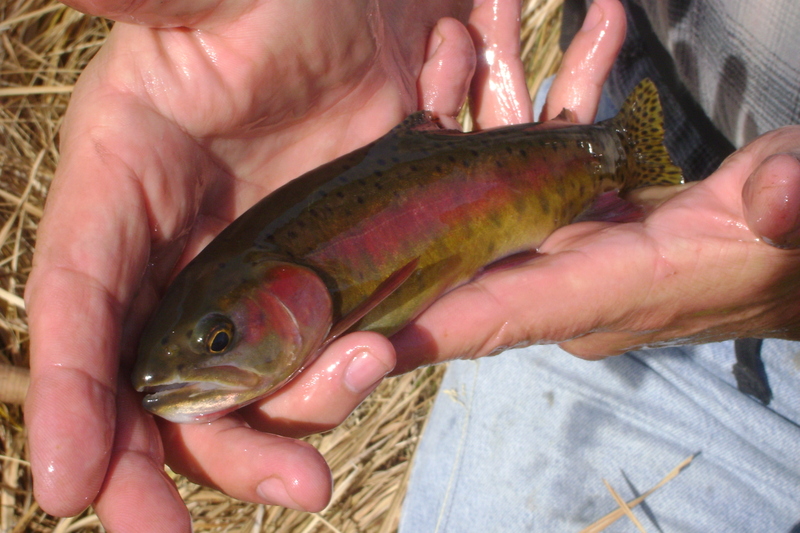 But the fact that the trout have lived here for many decades, and the meadow has a mild grade – where washouts may be moderated by beaver, or — if preferable — by man-made activity, and there is still some cool water emanating from the springs in this drought year, make this stream a strong logical choice as a prospective refugium for Alvord phenotypes. 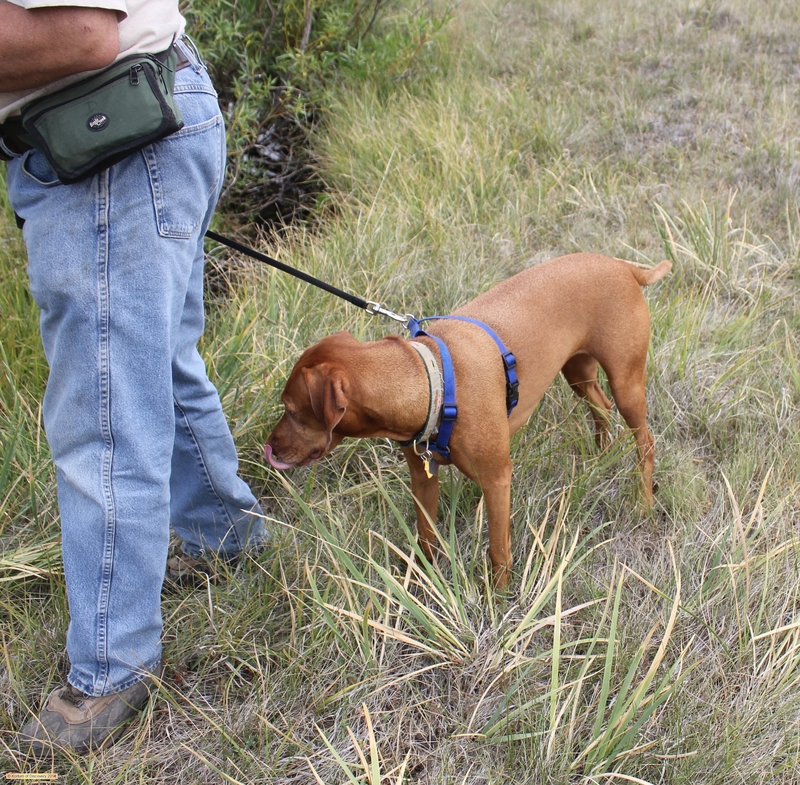 It is primarily the meadow that yields an easy opportunity and qualities to be a refugium. 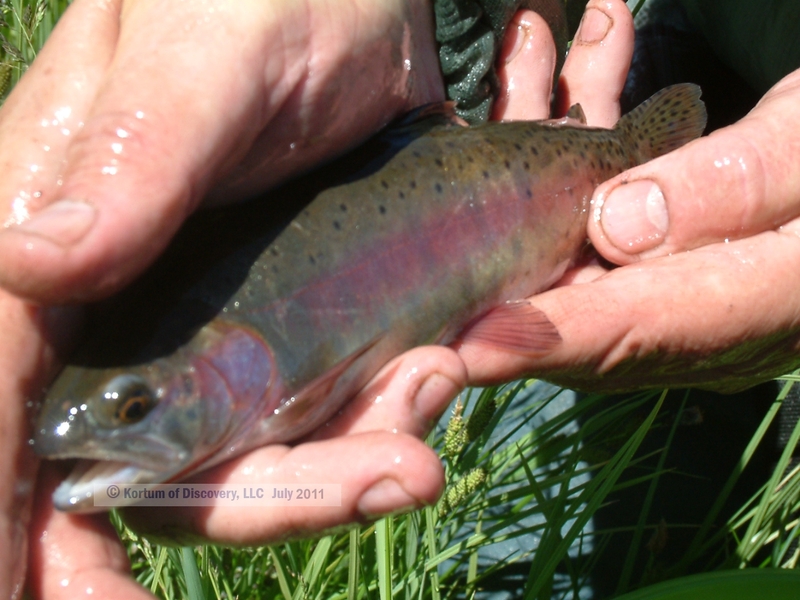 Additional work would be vital to transform the stream below the gap into an optimal and sustained habitat. 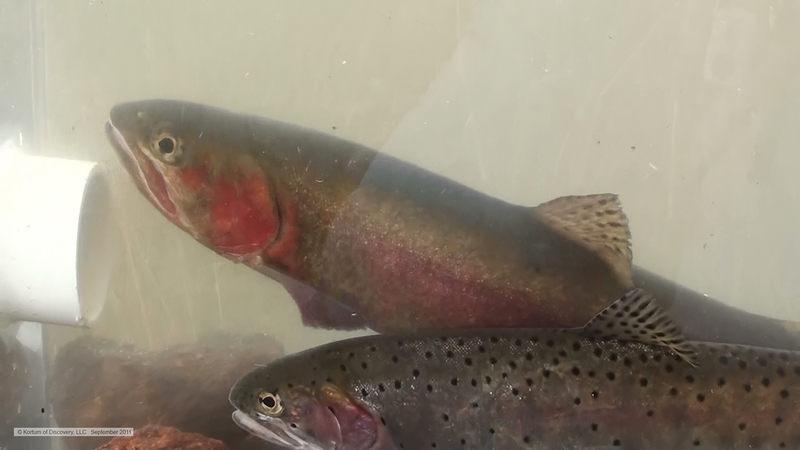 Yet given time and positive activity, the highest seven-stream-miles are very adaptable to become a stretch of optimal comprehensive refugium — for phenotypical Salmo clarki alvordensis. Perhaps the stream name could be changed back to its dignified historical name (before the name that Col. Drew’s gave it stuck, based on his 1860’s experience in the sub-basin some twenty miles below). The original name matches the peak, and fort, near its headwaters. 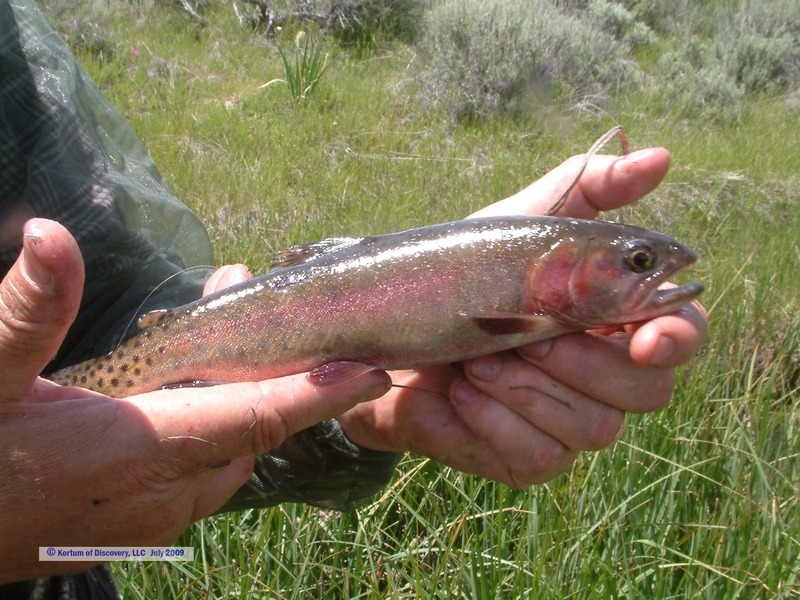 Perhaps this could become a special focus of success; where native trout enthusiasts and all who appreciate the natural order can come to appreciate the survival and perpetuation of a remnant of a beautiful “extinct” strain of trout from America’s desert Great Basin & Range. 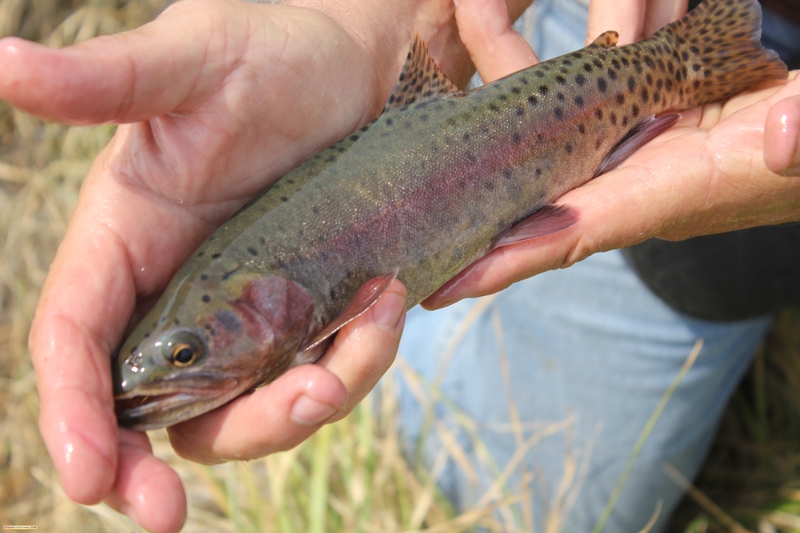 Time has shown that there are seasons when the lower reaches can provide notable trout fishing along the cut-outs and seasonally deep pools of this meandering stretch. But during this last foray we didn’t have the heart to even visit these reaches. 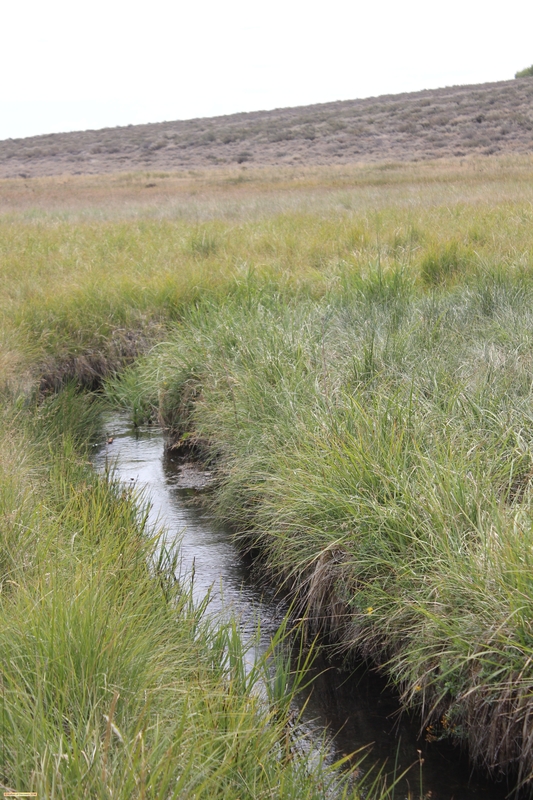 The water flow was so low, that once it left the protection of the willows and sedges still extant in the meadow region – it withdrew into a warm lethargic flow with a very limited range before evaporation, absorption and vegetative die-off would completely remove the live-giving water from the stream bed. 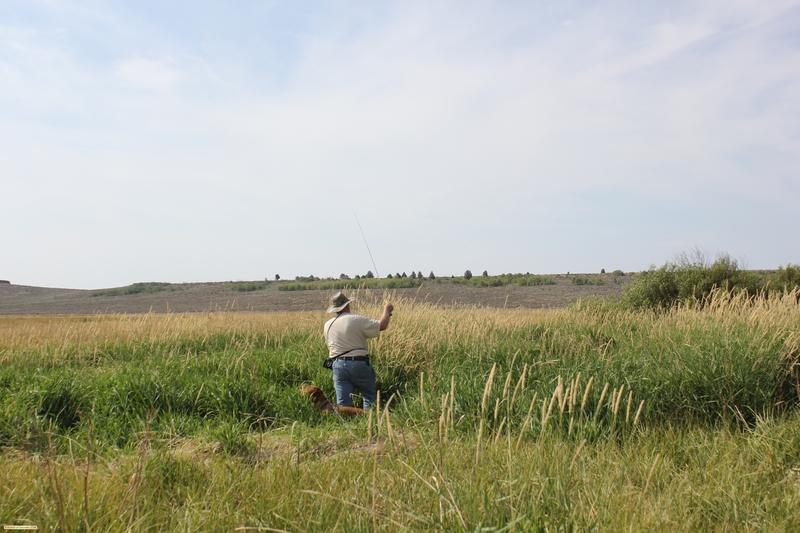 The focus of our last visit — and these photos — cover the basic headwaters (from where the flow was still too minimal for trout), on down to the gap — where the last of the willows still provided some shade and cover before warming and evaporation would dominate . . . 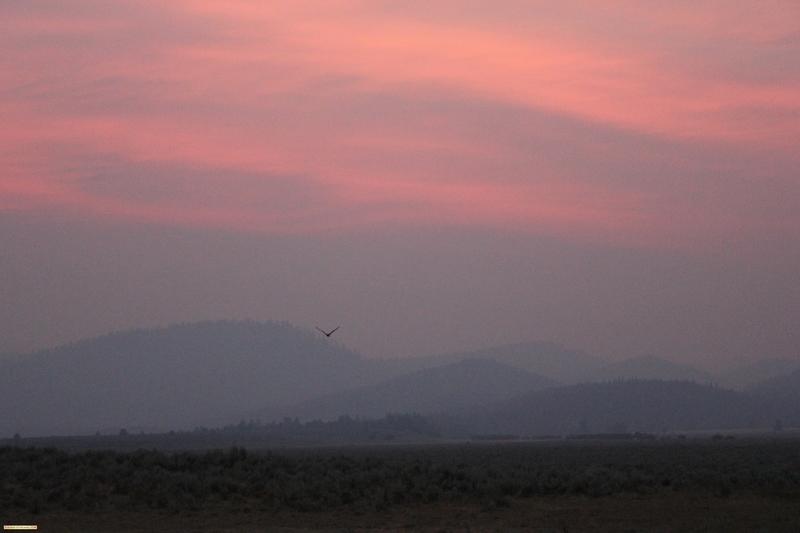 The drive in yielded eeriness from SE Oregon fires affecting the upper atmosphere . 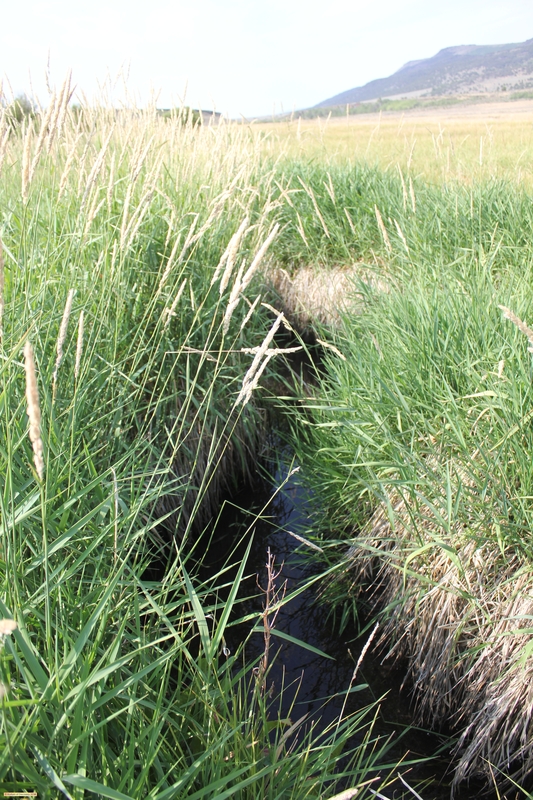 . .
Once below the ‘trio’ of feeder stream/springs, there was enough water to see the flow, and just enough sedge to bring back the memory of the days when the water was adequate . . . 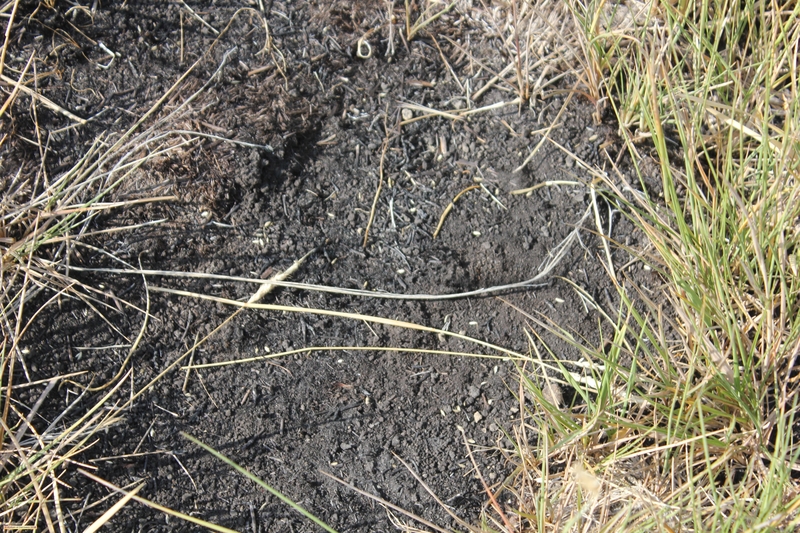 But, even then, there were notable sections in the upper meadow where the residue of the proscribed burn still left stunted grass, dirt and ash on the “meadow” floor and substrate. 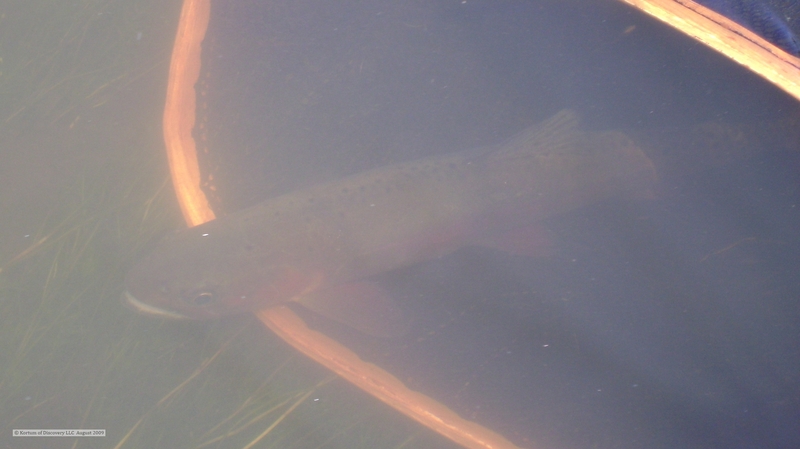 Working downstream, there were sections that took on the appearance of being “fishable,” but like Cyril from last month – I had yet to even see a trout – let alone even have a strike. 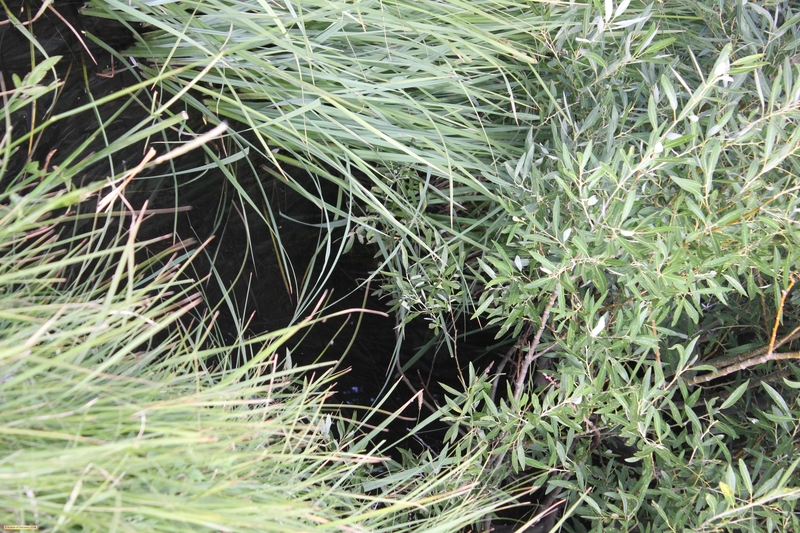 Working further down the meadow, the sedge began to diminish – though there was still some water flow. Note the hunting blind nestled among the willows not far from the creek. Exhausted . . . having spent a whole day working the meadow . 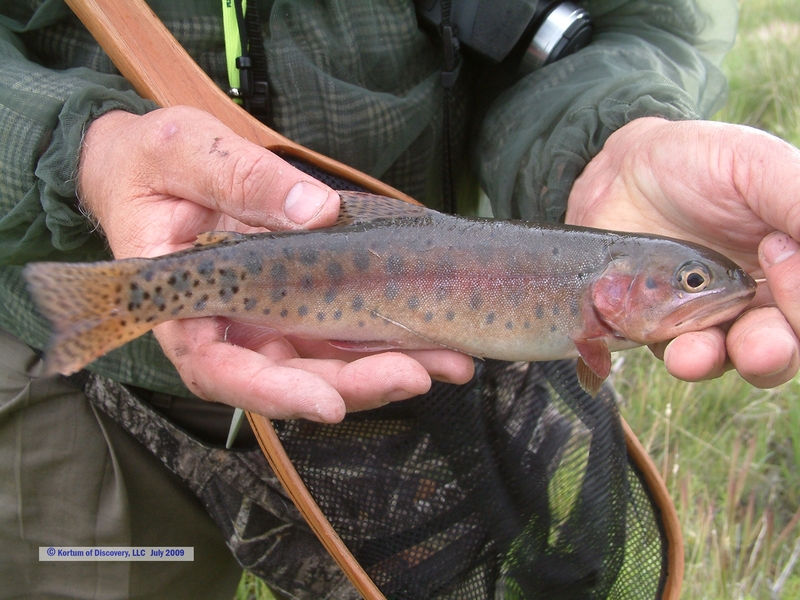 . . concluding that Cyril was right – that there weren’t any adult trout to be found. But then; a significant swirl bumped my tiny bead-head — and confidence returned that something had survived the drought! 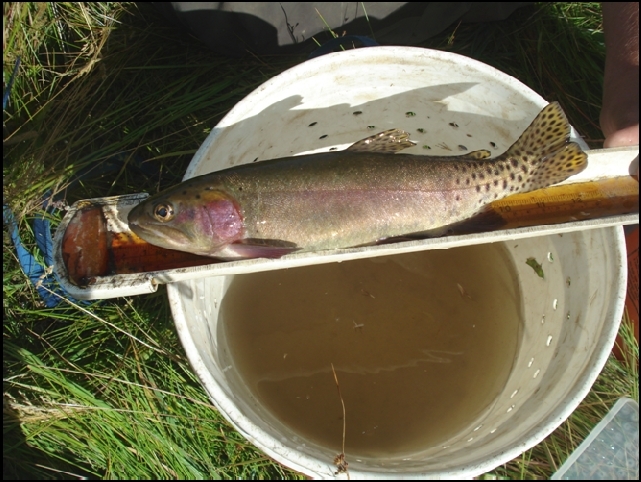 With a large bucket of cold water at hand to keep the trout oxygenated, I jigged the tiny fly into the semi-cold 12 inch deep pocket; and was rewarded with a hybridized, but none-the-less—a trout bearing the phenotypical characteristics of the extinct Alvord cutthroat trout. 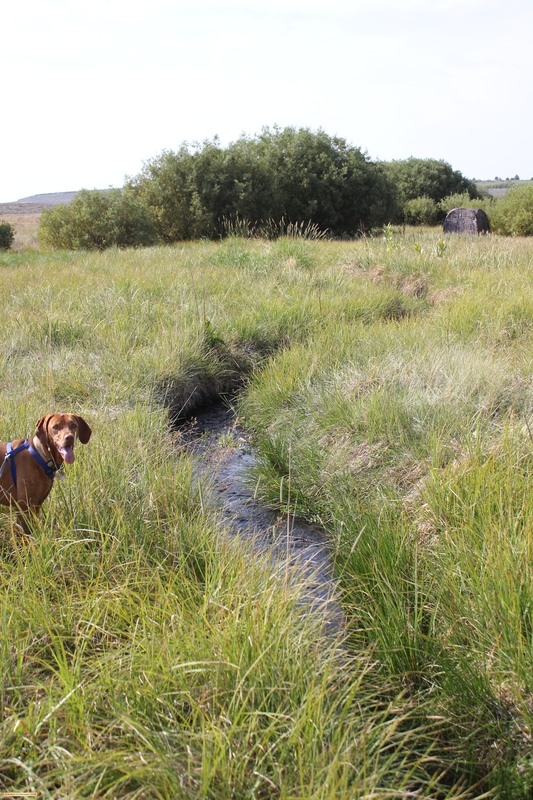 Water flowed throughout the meadow — though not much — by the lower section thereof. The willows and the taller sedge seemed to help keep the water cool, though not truly cold. 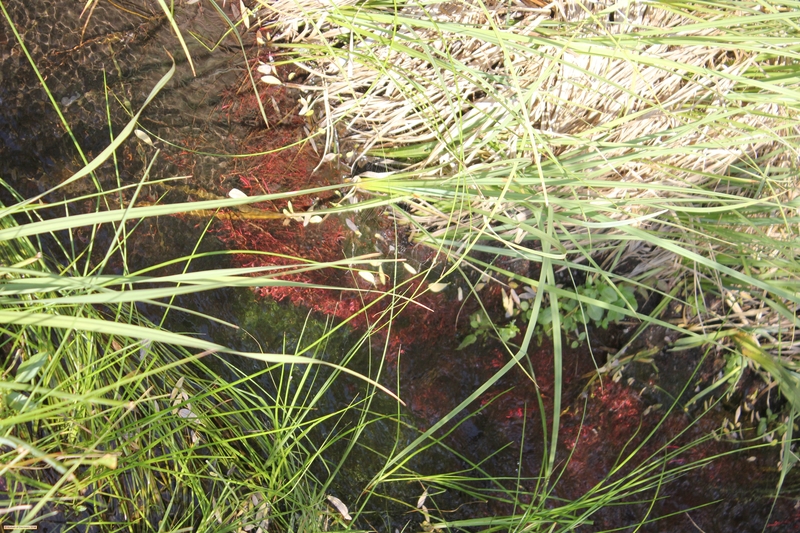 We hope that some of the rain passing through, as we were leaving, found its way into this needy basin – so that it may nourish, and revive, any remnant of phenotypical alvordensis that may still exist and persist in the delicate, fragile environment of its lonely ecosystem. 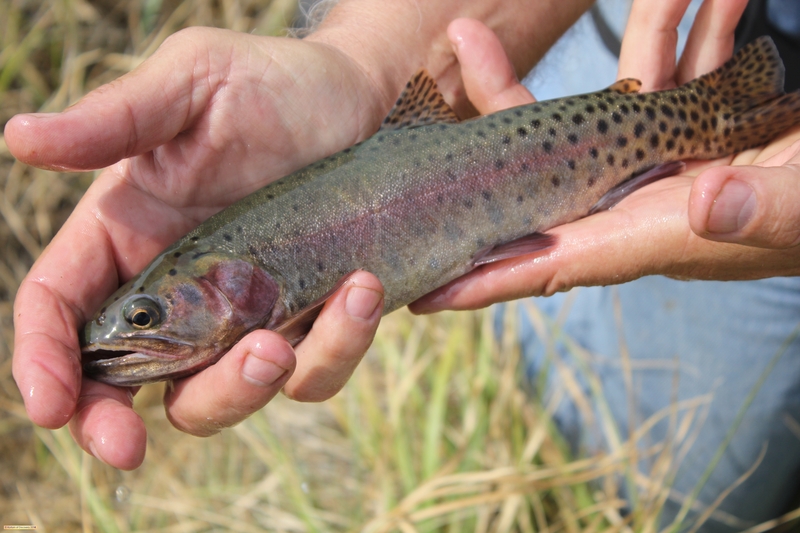 And we hope that the new ODFW Fish Biologist for SE Oregon will be blessed with all of the interest, enthusiasm and wisdom to engage genuine solutions that provide for preservation and restoration of this unique strain of trout — that allegedly, isn’t even supposed to exist! 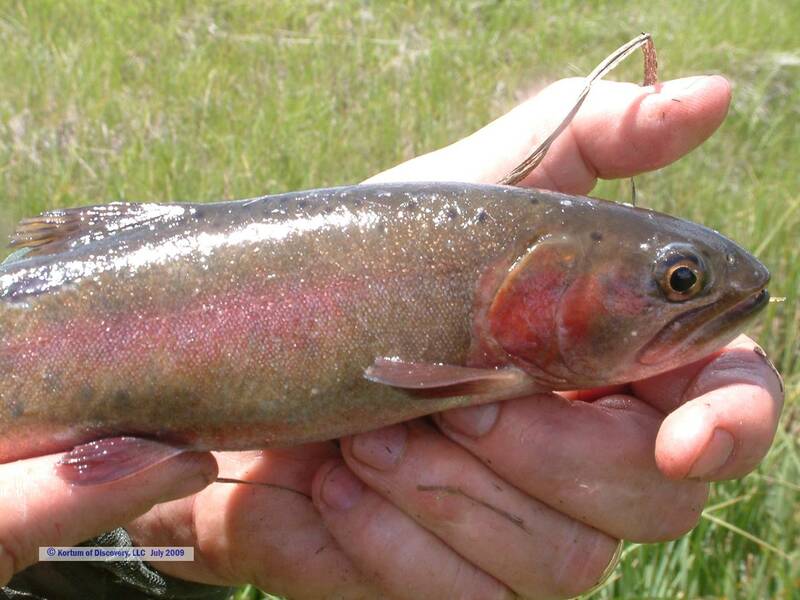 This entry was posted in Fisheries Biology and Genetics, Observations, Of Fauna and Flora, Photo Journals. Bookmark the permalink. 3 Responses to Refugium: An area where special environmental circumstances enable a species to survive – after extinction in adjacent areas. Dan and Scott here (aka cutthroatstalkers). 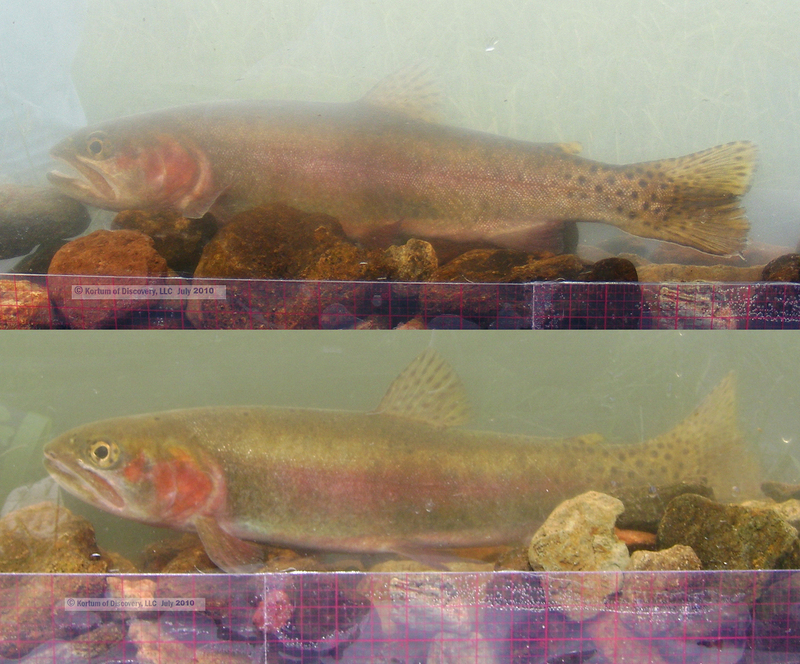 Glad there is still hope both at the hatchery and at ***** creek. If any work comes up next summer and volunteers are needed, please count us in! Keep up the amazing work. Wish we there to help. All the best! 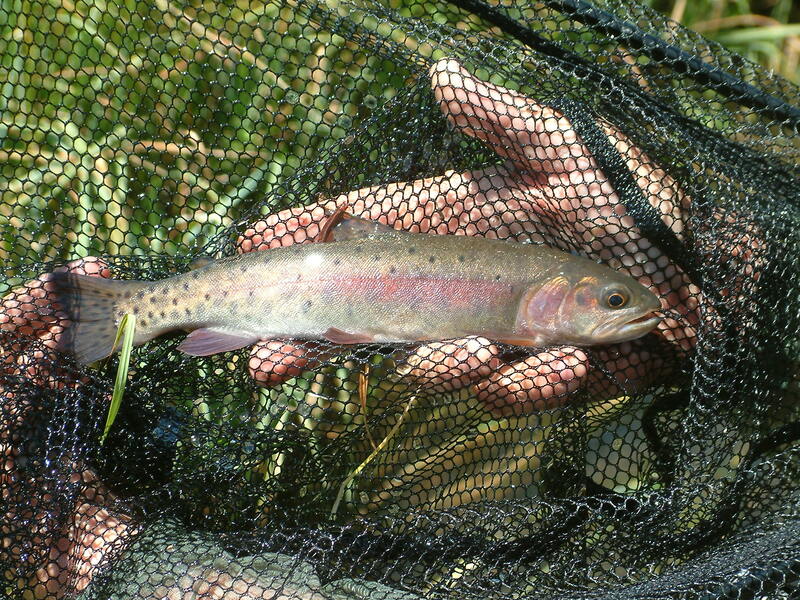 Religiously tracking your posts telling and memorializing the story of the ACT, and supporters of your groups and followers seemingly tireless research and efforts, my father and I angled the creek this post-spawn spring and found the creeks infrequent and scattered inhabitants to be lively and in fine shape; my, what a difference only a couple months can make in such an unforgiving environment. I would like to share some resulting photos with you if you could please reply, using a suitable email address, to me at *********@*****.***. 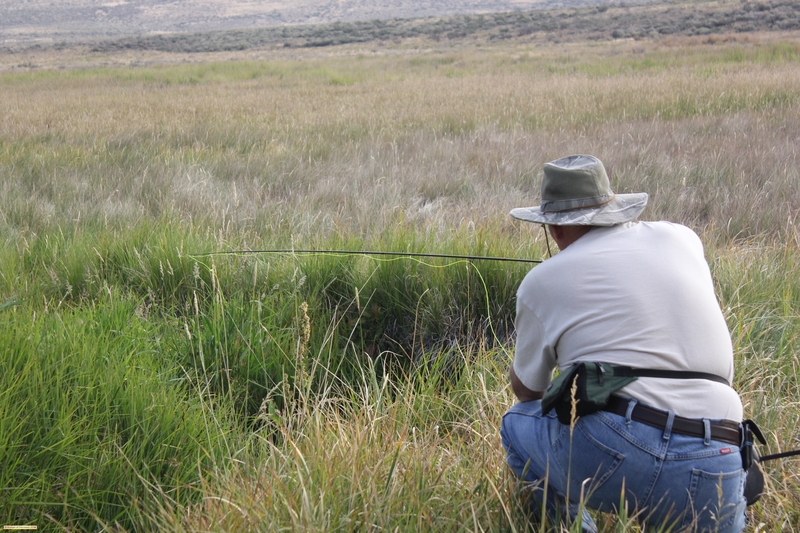 The aforementioned trip will be our one and only angling adventure to the creek as we will use the memories to ponder what was, currently is, and may very well be a truly promising and successful fish tale. Thank you for your encouraging comments Eric. I’ll send an email response for you . . . 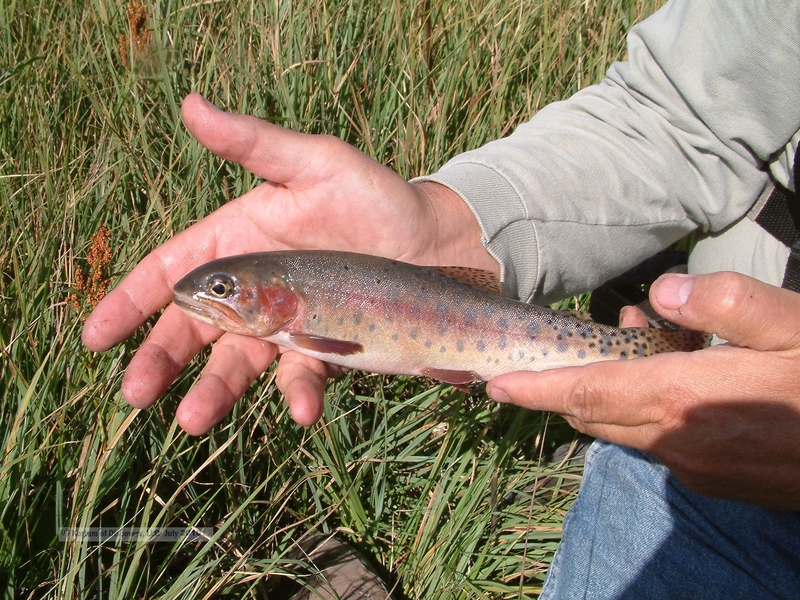 Thank you again for sharing about your positive streamside experiences from this spring!